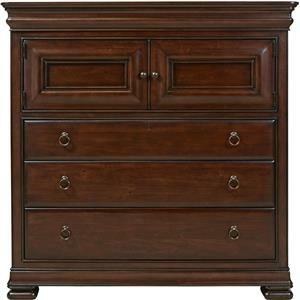 Featuring five dovetail drawers with curved drawer fronts and ball bearing glides, this chest is a beautiful and versatile piece for your bedroom setting. 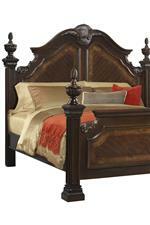 Crafted from pinewood, poplar wood, and cherry and ash burl veneers, the piece is completed with a timeless dark chestnut finish. 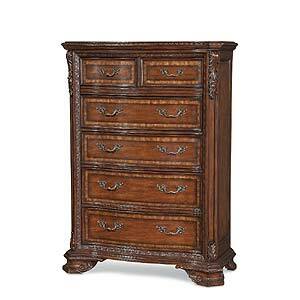 With ornate carvings, Ogee bracket feet and oil-rubbed bronze drawer pulls, this piece embodies classic traditional style and great craftsmanship. 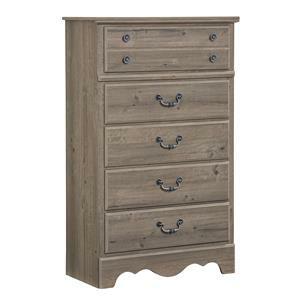 The Southern Belle Chest with Five Dovetail Drawers by Elements International at Olinde's Furniture in the Baton Rouge and Lafayette, Louisiana area. Product availability may vary. Contact us for the most current availability on this product. 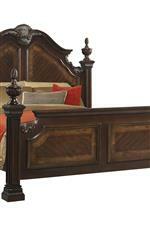 Finish Dark chestnut finish with light chestnut highlights. 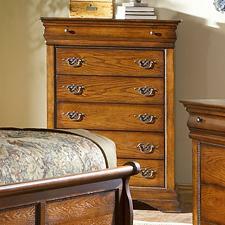 Handles & Hardware Oil-rubbed bronze drawer pulls. Case Detail Ogee bracket feet. 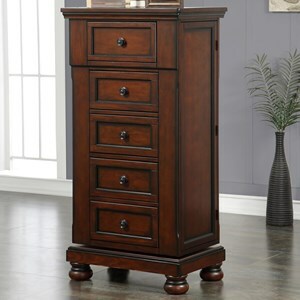 Storage Five curved-front dovetail drawers (French in front and English in back) with ball bearing drawer glides and oil-rubbed bronze drawer handles. Case Construction Poplar, pine and plywood with ash burl and cherry veneers. The Southern Belle collection presents bedroom furnishings that will exceed all your expectations of style, craftsmanship and design. Crafted from various woods and veneers, these furnishings showcase traditional southern style without sacrificing versatile and accommodating features. 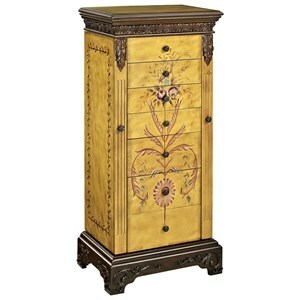 Dovetail drawers, metal ball bearing drawer glides, intricate detailed carvings, marble tops, ornate Ogee bracket feet and oil-rubbed bronze drawer pulls highlight the collection's many unique style and design aspects. Completed with a beautiful dark chestnut finish with light chestnut highlights, the timeless Southern Belle collection will transform your bedroom setting. 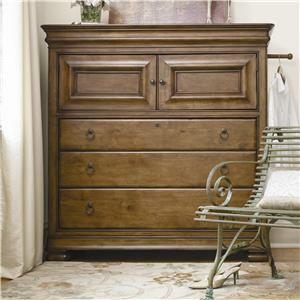 The Southern Belle collection is a great option if you are looking for Traditional furniture in the Baton Rouge and Lafayette, Louisiana area. Browse other items in the Southern Belle collection from Olinde's Furniture in the Baton Rouge and Lafayette, Louisiana area.